Today i have a new method to lock or unlock into your computer which is far cool than these traditional methods. Now after reading our this post you will be logging in your computer using your USB flash drive. Yes this is actually possible you can make your computer start with your pendrive.Follow below steps to Unlock PC Using USB Pendrive. Inside Tech: In this method you will set the whole setup in such a way that when you enter the computer you will launch a program from your USB drive and then you will do all your work and after your work you will remove your USB drive and then your keyword and mouse will get locked until you again come and insert that USB drive in your computer. #1. 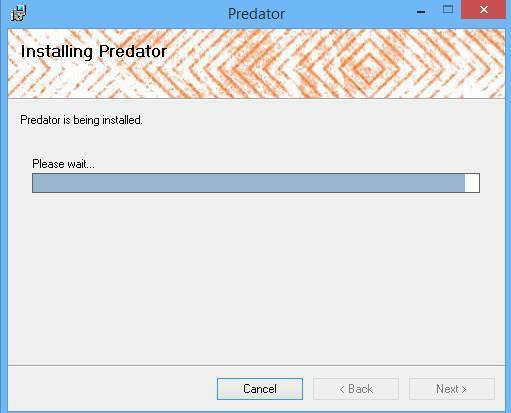 First of all download and install the software Predator in your computer and this will be in zip format, unzip and install it. #2. Now it will ask you to set password and recovery key, insert the USB and click on OK.
#3. Here you can set any password of your choice and also you have select the particular pendrive that will open your computer to avoid misuse using any other pendrive. #4. Now your USB is ready to use. Now every time you logged in your computer just insert the USB and launch the software and stay back and do your work and after your work remove it. #5. Your computer will get automatically locked and after that when you put usb back your computer will get unlocked. #6. And by any chance if you lost or misplace your USB then you can use your recover that with your password that you have set while intializing this software. Also Read: How to Hack Computer By Wireless Mouse or Keyboard. So this method is all about How To Unlock PC Using USB Flash Drive. By this you will get a very cool way to lock and unlock your computer on your hands with a simple USB flash drive and also you can secure multiple computers using this software. Hope you like the post and don’t forget to share it with your friends and leave a comment below if you have any related query.Don’t forget to share this. how to hack a wifi which is protected . How to hack friend fb account………………. Can you help me pls….